Jim has been a Registered/Certified Physician Assistant since 2002. He received a Bachelor of Science degree from SUNY at Stony Brook and his Masters of Physician Assistant Studies from the University of Nebraska. In addition to Neurosurgery, he has experience in Oncology and Primary Care. Mary Kate Reinhart, certified adult/pediatric nurse practitioner, joined LINS in 2011. She holds a Bachelor of Science in nursing, Master of Science in child health and a post-Master certificate in adult health from Stony Brook University. Mary Kate has been a nurse practitioner since 1996. Diana has been a Registered/Certified Physician Assistant since 2011. She received a Bachelor degree from Touro College in Bay Shore, NY. Anna Marie has been a registered Nurse since graduating from Wagner College in 1980 with a BSN degree and minor in education. Has worked in the critical care areas, emergency medicine, intravenous therapy and special procedures. AnnaMaria joined LINS in 2014. She holds a Bachelor of Science in nursing, Master of Nursing from Stony Brook University. AnnaMaria has been a nurse practitioner since 2006. Ping Hao has been a Registered/Certified Physician Assistant since 2013. 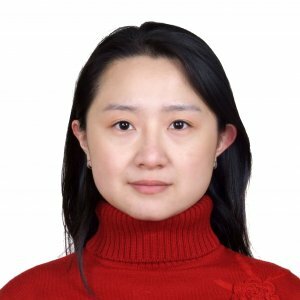 She received her MD degree in 2004 from the Medical Department of Peking university, China. She was in the OB/Gyn residency program between 2004-2005, in China. She received her Master’s degree from Touro College in Bay Shore, NY. She has experience in primary care and pain management prior to her current position.